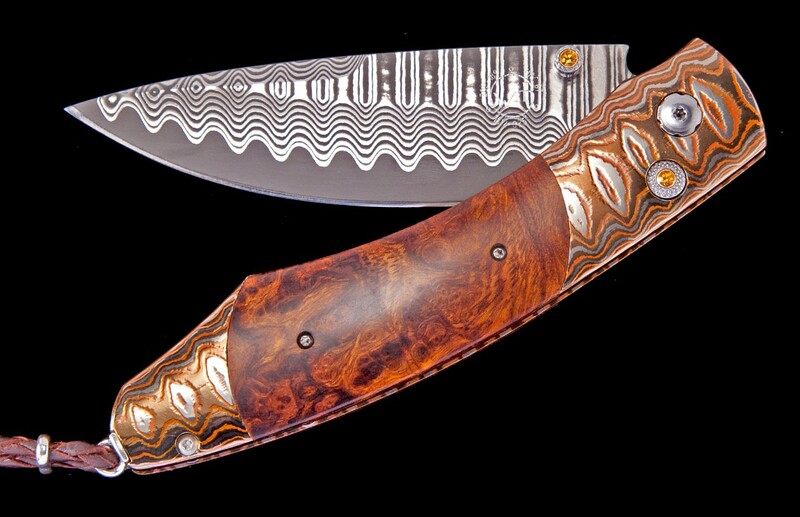 The Spearpoint ‘High Desert’ features a beautiful frame in William Henry’s signature (and patent pending) ‘Wave’ Mokume, inlaid with a stunning scale in desert ironwood. 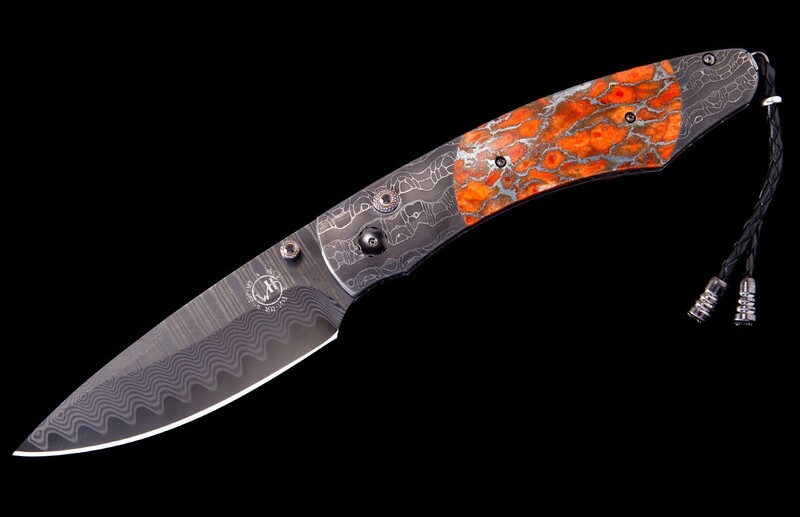 The blade is ‘Wave’ damascus steel with an extra sharp core in ZDP-189 steel. 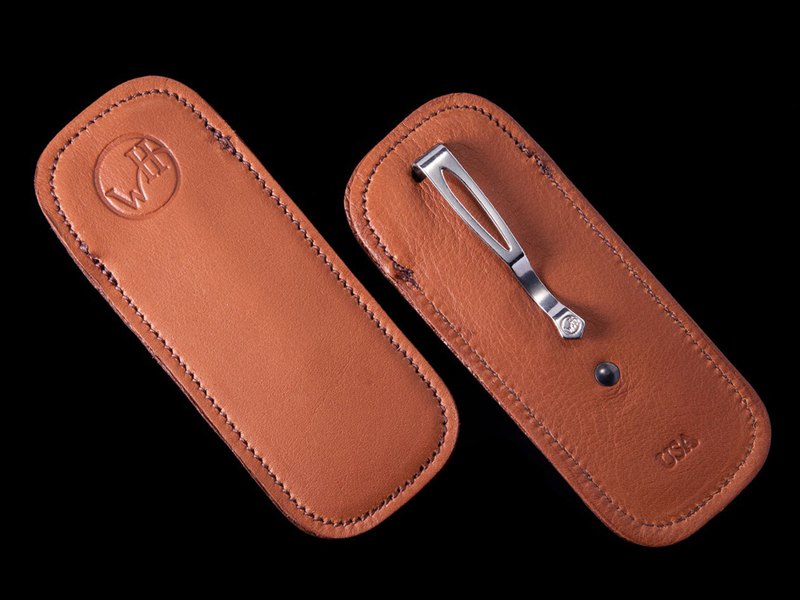 The one-hand button lock and the thumb stud are set with citrine gem stones. 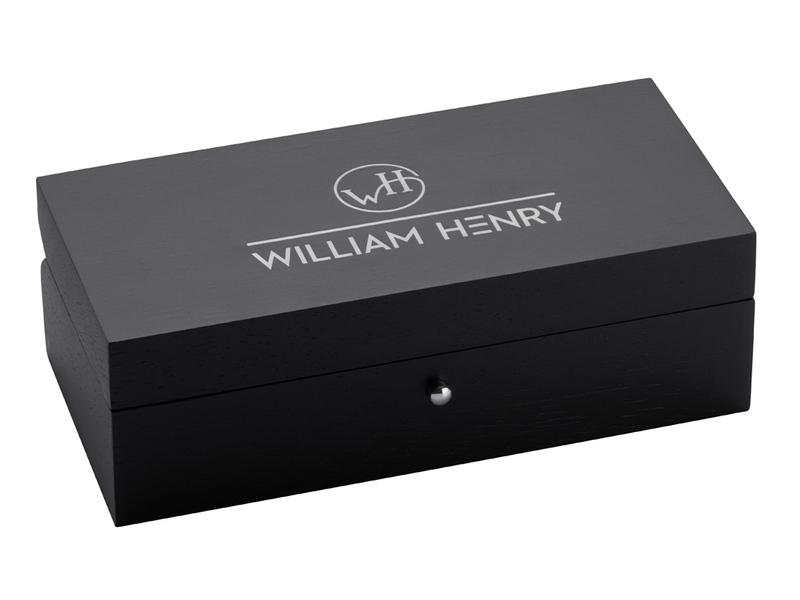 The ‘Sunset’ features some of the exotic materials and hand-forged metals that are the hallmark of William Henry’s collections; a distinctive personality statement to be worn and used for a lifetime. 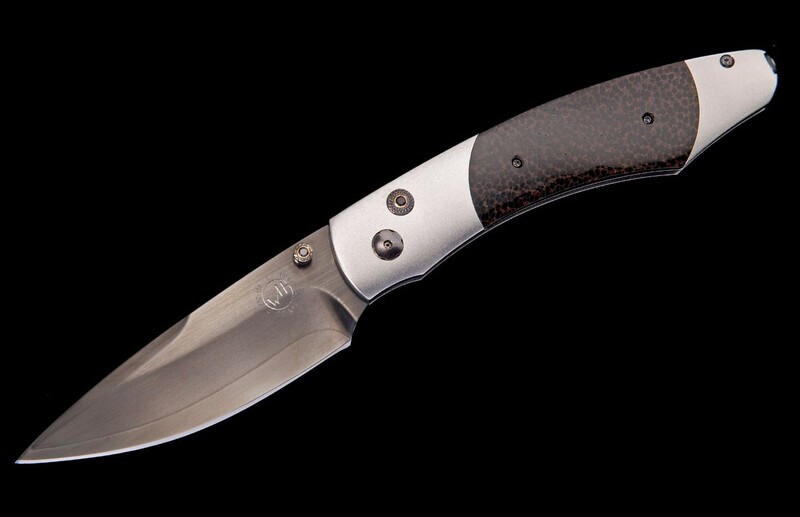 A gorgeous design, and bold style that gives you an instrument with a full-size secure grip, with a versatile deep-belly blade, the Spearpoint epitomizes William Henry’s core philosophy – that superlative function deserves to be elevated to superlative art. 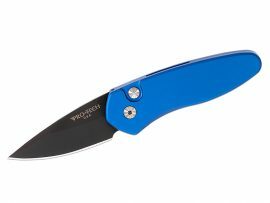 Each knife in the Spearpoint Collection includes either a titanium pocket clip or a lanyard system; the lanyard bail (where applicable) is crafted from either sterling silver or 14K gold – the lanyard system also includes a leather ClipCase carrying system. 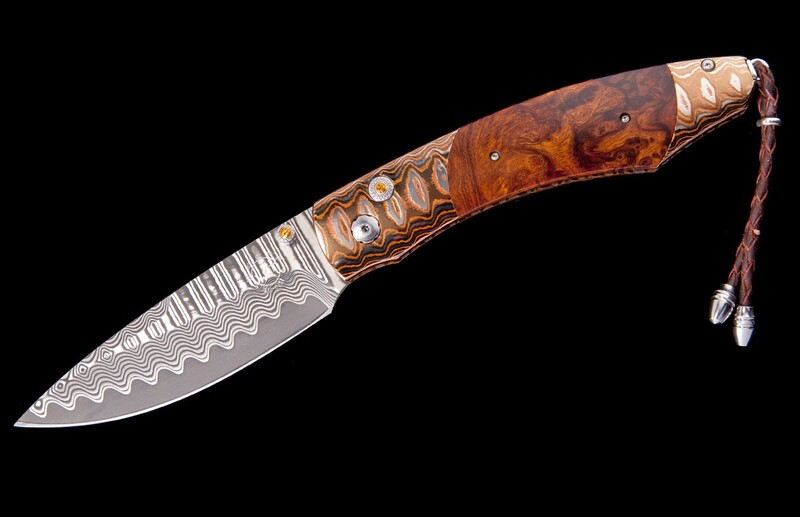 Every piece is engraved with two distinct numbers – a serial number on the blade and limited edition number on the leading edge of the handle. 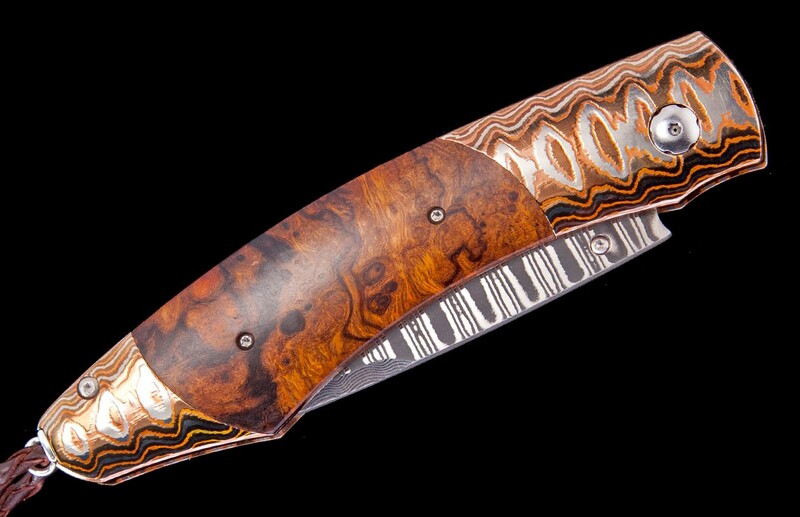 The numbers, along with the details about the knife’s construction, are listed in the included Certificate of Authenticity.